KSC is preparing to burn out the remaining Shuttle Booster Separating Motors, not to be confused with their bigger cousins, the Reusable Solid Rocket Motors (Credits: ATK). At the end of February 2013, NASA will detonate the last Shuttle Booster Separating Motors (SBSMs) at the Kennedy Space Center (KSC) in Florida, concluding Shuttle Transition and Retirement Program activities. At the moment, SBSMs are not a real danger, but their disposal is necessary because perchlorate crystals form outside and inside of the motors. Perchlorate is a reactive oxidizer that can explode upon exposure to heat or when improperly stored in large quantities. As a result, the material does not travel well and must be destroyed in situ. NASA officials requested a Florida Environmental Authorities special permit, on Dec. 20, to be executed at KSC’s landfill off Schwartz Road, where the 45th Space Wing Explosive Ordnance Disposal Unit will place a quarter pound of C-4 explosive on both sides of the motors. 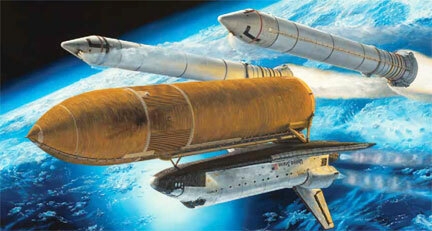 Most probably, said NASA officials, 28 SBSMs will be burned, while the remaining will be used for future programs.